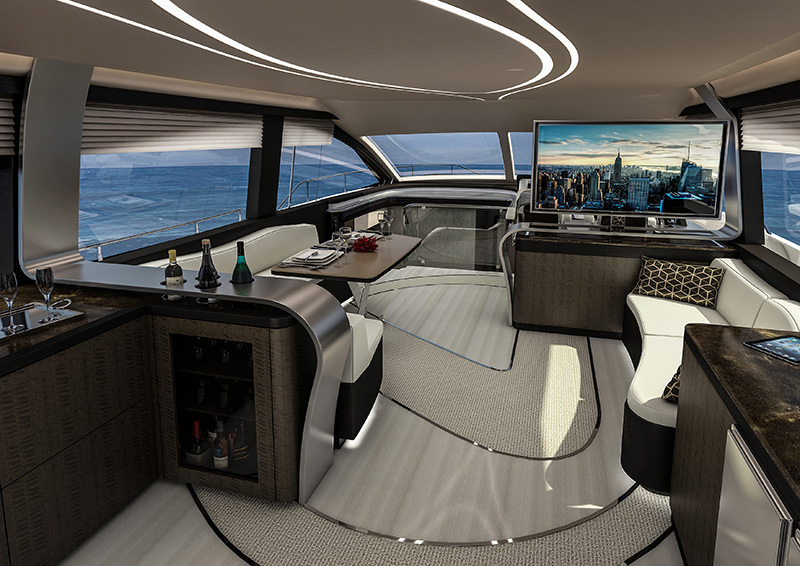 It dipped its toes in the water in 2017 with its one-off, 42-foot Sport Yacht Concept. 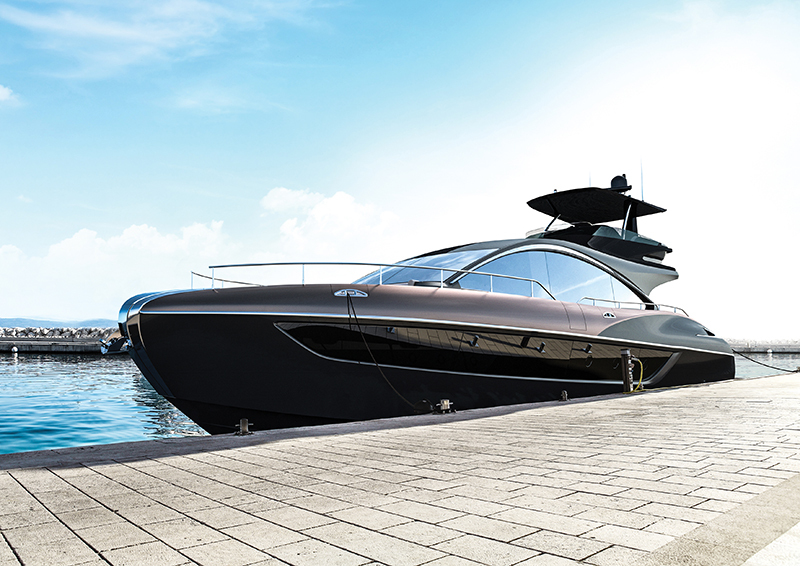 Now, boosted by the market’s favorable response over the stunning watercraft, Lexus announced it would start building the LY 650 luxury yacht, which takes numerous elements from the concept boat, as well as the marque’s L-finesse design philosophy it applies beyond its cars. 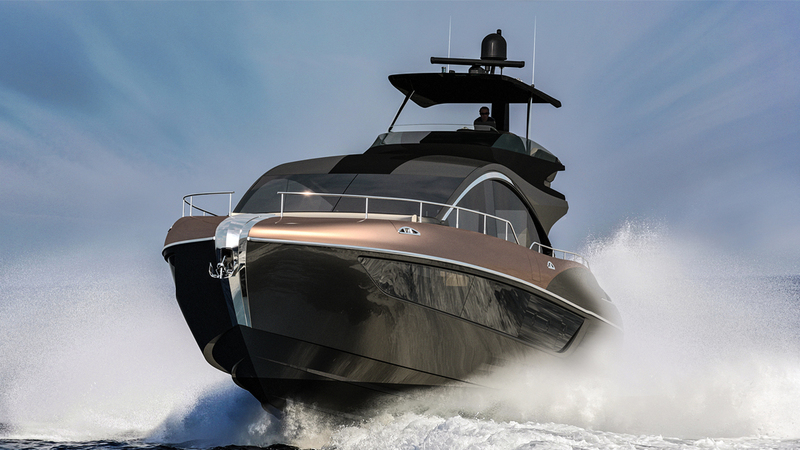 Lexus has chosen the Marquis-Larson Boat Group—which built the Sport Yacht Concept—to produce, sell and service the LY 650. The Wisconsin-based company boasts extensive experience with bespoke boat building, and has been known to mix artisanal craftsmanship with modern technology and inspired designs. The first LY 650 is expected to be finished in the second half of 2019, and will make its global debut soon after. Measuring 65 feet long, with a 19-foot beam, the LY 650 has a pronounced bow, curved deck accents and imposing aft hips. Its rising and falling roofline, which flows into the rear, recalls that on Lexus cars. The yacht will have three staterooms, three heads (or toilets, for the landbound), and sleeping for six. Two engines are available; the standard Volvo IPS 200, and the optional Volvo IPS 1360.